NEED TO GET FROM 'A TO B' BY BOAT? AB Marine Services is for you and your business! AB Marine Services was established in 2008 and is a Gladstone based company with an extensive knowledge of the local area and waterways. As a local business the quality and preservation of Gladstone Harbour and surrounding environments is important to AB Marine Services. We strive to help maintain the integrity of the waterways by having minimal environmental impact. With an expanding fleet of vessels with varied specifications, an experienced and expanding workforce, AB Marine Services offer a range of products and services to accommodate many business and professional requirements. Watch our on-line promotional video below for further information on services provided. 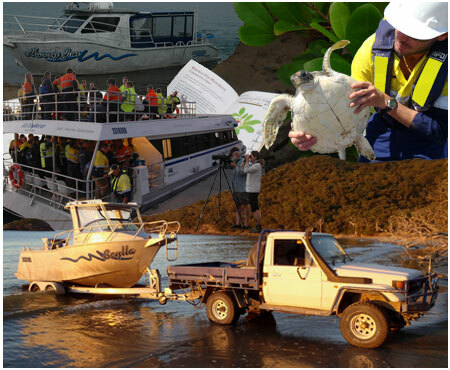 From hire work boats, scientific research support, to fully pledged passenger ferries, AB Marine Services offers professional service, experienced crew, flexibility and mobility to operate anywhere in Australia. Servicing multi-billion dollar marine projects beside small scale operations is a common blend. 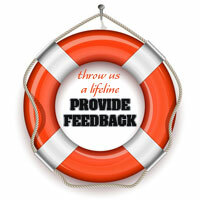 AB Marine Services provides solutions to your needs. Forming an alliance with local and Australia-wide companies allows further diversity in services offered. This is what makes AB Marine Services a central hub for your inquiries. AB Marine Services' owner, Adam Balkin, has been nominated for the Gladstone Engineering Alliance 'Wayne Peachey' Memorial Award. The award is aimed to recognise an individual who demonstrates excepti .. The addition of a heavy duty 4WD truck purchased this month allows new capabilities for AB Marine Services. From transport to clientele support, this vehicle is a bonus for the expanding business.AB M ..